As part of the multimillion-dollar renovation of the Four Seasons Resort Lana’i at Manele Bay, The Challenge at Manele is being renamed and the island’s premier golf experience rebranded. This Jack Nicklaus-designed layout, one of the world’s most scenic golf venues and acclaimed resort courses, is now known as Manele Golf Course, and it has been given a new logo that uniquely captures its sense of place on the magical isle. The logo combines a stylized wave crest and a sun setting above an omilu, the popular game fish also known as the bluefin trevally and found in many bays and reefs around the island. The multimillion-dollar transformation underway at Four Seasons Resort Lana’i at Manele Bay is paving the way for the resort to offer the highest standards of hospitality, highly personalized service and innovative enhancements to guests who appreciate only the very best. A number of enhancements have already been unveiled, including new restaurants, redesigned guestrooms and suites, high-end retail stores, a renovated clubhouse and spa, the addition of a luxury transfer fleet, and an exclusive airport lounge in Honolulu. 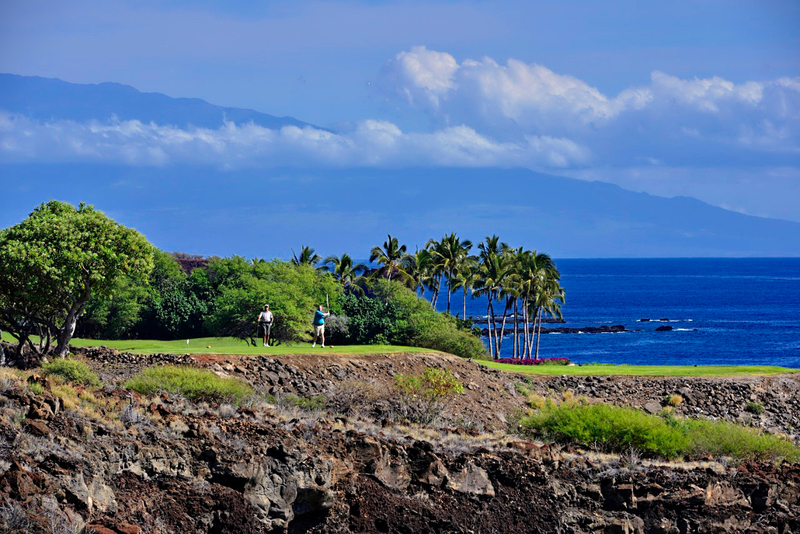 For more information, contact Four Seasons at 1-800-321-4666, or visit fourseasons.com/lanai.